While hell tends to have a bad reputation, Red Tiger Gaming is looking to change that with their new progressive slot Lucky Little Devil. It is a 5 reel slot with 10 fixed paylines. The devil is on the left of the reels and there is a fiery view of hell in the background. The symbols include a 666 logo, a cauldron, a mantrap full of gems and a trident. There is no wild symbol but there is a Free Spins symbol. The progressive jackpot is won in the base game by landing three of the jackpot symbols. Landing the Free Spins symbol on reels one, three and five simultaneously awards you with eight free spins. During the spins there is the chance of landing extra-large symbols and of winning more free spins. 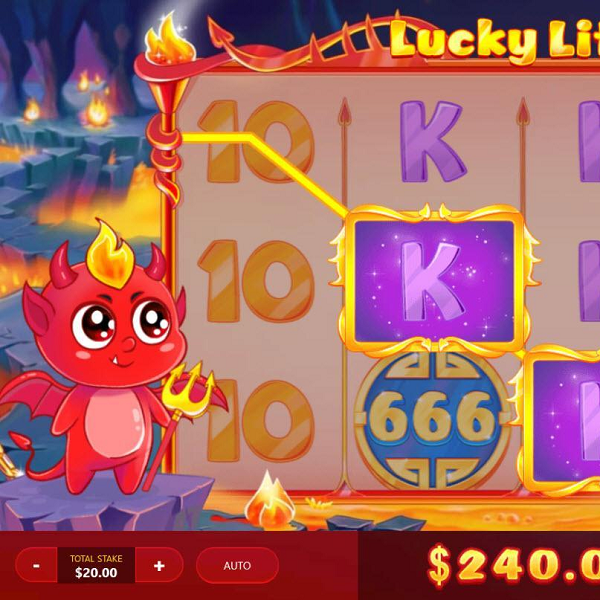 Furthermore, the devil can award three mini bonuses: extra matching symbols on the reels, a guaranteed win and huge cash prizes.